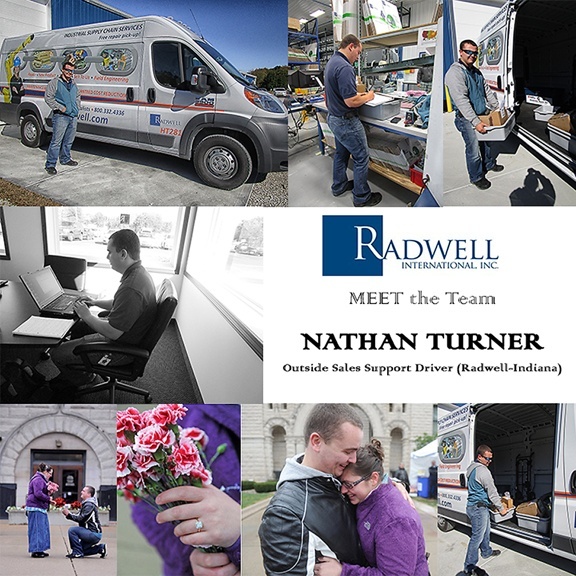 In this week’s MEET THE TEAM, we’re featuring Nathan Turner, an Outside Sales Support Driver at Radwell-Indiana. Fun Fact About Your Job that Others Might Not Be Aware of: I support mainly 3 ASMs in this position in an area which spans 253 miles North to South and 150 miles East to West. Who has been your biggest inspiration/hero in your life so far and why? My fiance's mother was diagnosed with MS a couple of years ago. She believed that it would be healed. And through prayer, she beat MS and it has not returned. This confirmed to me that anything is possible if we believe with everything in us. She has been one of my biggest inspirations in my life. What is your favorite time of day and why? My favorite time of day is around sunrise. It is calming to watch the sunrise on the way to work or just starting out my day in the Promaster.